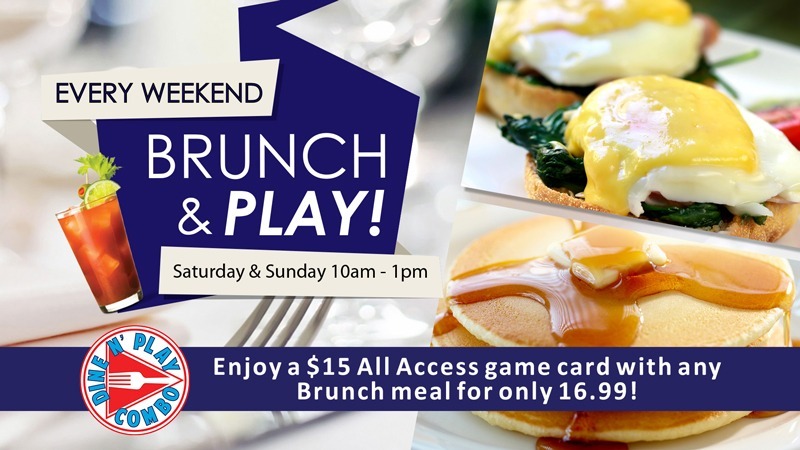 Our Weekend Brunch & Play Menu is now available at all GameTime flagship locations in Daytona, Fort Myers, Miami, Ocoee & Tampa every Saturday & Sunday from 10am – 1pm. Get a Dine N’ Play Combo with ANY Brunch item. This special offer gives you your meal + a $15 All Access game card for a total cost of only $16.99. Your meal is practically FREE! 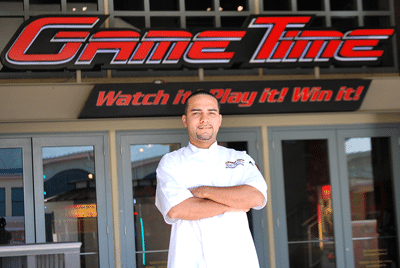 Press Release November 20, 2017 – The team behind GameTime has been revamping the focus of their menu to put a twist on favorite breakfast items and adding more fun to your weekend Brunch. 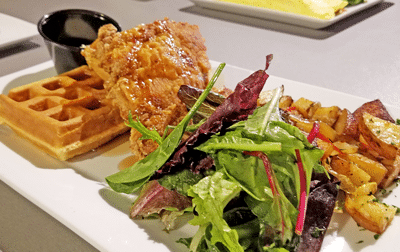 First they launched Brunch in Miami, and now with feedback from their guests, the new Brunch & Play menu will offer more value, exciting additions & game play options on every Brunch entree at all flagship locations in Fort Myers, Miami & Tampa. Featuring an array of dishes that include breakfast favorites, innovative egg dishes and game play options, the new GameTime menu will redefine brunch as we know it and officially launches on Black Friday November 24, 2017. When it comes to Breakfast, GameTime is on point. Take the Chicken & Waffles, this dish is a foodie’s dream! Two house made waffles served with southern style battered and fried chicken, maple syrup and seasonal fruit. Egg lovers can enjoy a traditional Eggs Benedict, poached eggs and Canadian Bacon served on an English muffin finished with house made Hollandaise sauce or they can change it up by trying a Veggie Benedict with avocado and sautéed spinach or Smoked Salmon Benedict all accompanied with a side of home style potatoes and mixed greens. For those looking to enjoy lunchtime favorites, starting at 12pm you will find GameTime’s famous ½ pound Angus burgers grilled to perfection, Monterrey Chicken smothered in sautéed mushrooms, pasta dishes including Fettuccini Alfredo and Blackened Chicken pasta tossed in a creamy alfredo sauce with sundried tomatoes, pizzas, fresh made salads, Baby Back Ribs and more. Click Here for our new Brunch & Play Menu as well as our daily menu options.